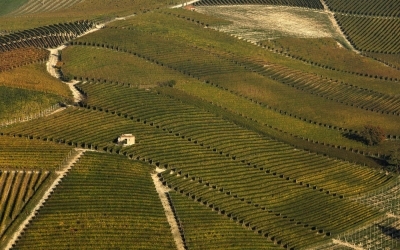 The form of this vineyard justifies its name: “Rionda Vineyard,” (rionda comes from the word rotonda, which means “round”). 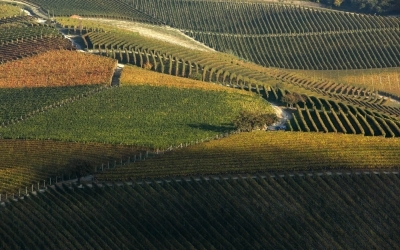 It is a round hill of a vineyard, located in Serralunga d’Alba and almost one hectare large. Its vineyards enjoy full sunshine. Like all soil in Serralunga, its origins date back to the Serravallian Age (sometimes called Helvetian), characterized by Lequio soil, or layers of grey marl alternating with sandstone, formed by siliceous sands that are more or less cemented between the marl layers, and calcium carbonate, iron carbonate, and inorganic residuals of vegetable and mineral organisms. Vignarionda’s soil is rich in microelements like potassium, boron, manganese, and magnesium. 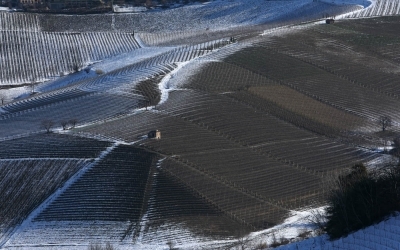 Its active limestone content is quite high—at 13.58%, it is the highest in the entire Barolo zone. Vignarionda is well-sheltered by the Castelletto hill from the winter cold spells and winds from the northwest, and has an excellent microclimate for vine cultivation. 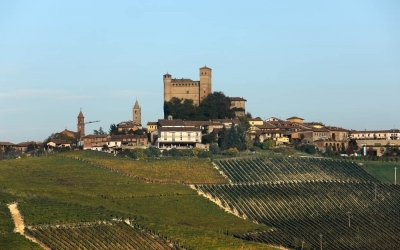 It is one of our winery’s first Nebbiolo vineyards to germinate and completely mature. With its extraordinary natural characteristics, this vineyard certainly favors organic cultivation.